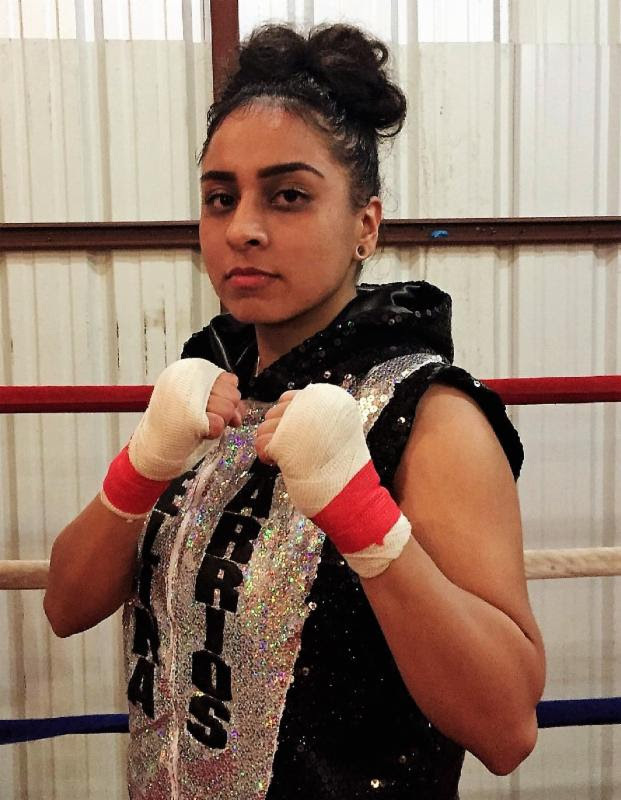 Undefeated female sensation, Selina “Aztec Queen” Barrios (3-0, 1 KO), returns to the ring this Saturday night, July 7, 2018, as the main event in Corpus Christi, Texas, in the well-established American Bank Center Water Garden Room, bringing a loaded card of fistic fury. Barrios, who owns the NABF lightweight title, which she won in her 3rd professional bout, will face Aida “Lady Sparta” Satybaldinova (3-0-1) from Astana, Kazakhstan, best known as the “Female GGG”, and is the current WBF International Lightweight Champion. Both girls are undefeated and hold titles as lightweights. Barrios is also rated #18 in the world by the WBC (World Boxing Council). This bout will be held over 8 rounds. This bout is promoted by Reyna Promotions of Corpus Christi. The promoters were looking for a first-class main event and landed a fight that is a solid television fight. The local ABC-TV affiliate (KSAT) in San Antonio will be in Corpus to broadcast this fight live and stream it across the internet. Female and male fight fans across the world that know these two pugilists will be tuning in to watch an action-packed fight as both warriors step forward and throw punches without grabbing and holding or running. Barrios and Satybaldinova are both guaranteeing a knockout. Undefeated Super lightweight contender and brother of Selina, Mario Barrios (21-0, 13 KOs), called his agents and promoters to let them know he is leaving camp, to go to this fight and is bringing a huge fan base with him. George Foreman’s former camp organizer is coming in to work the corner with Selina, and Deborah Hawkins, the representative for the NABF Female title fights, will be there to discuss a possible rematch for the championship, if the fight is as competitive as she thinks it will be. GM3 Promotions from California, Keeppunching Entertainment from Louisiana, and CCC Entertainment from Corpus Christi, among other promoters are eyeing these two warriors for future shows and will also be in the audience along with other well-known agents, managers, and promoters. Eying this fight from long distance is DiBella Entertainment in New York as Lou DiBella is building a huge stable of top notch female fighters across the globe. Great athletes, especially boxers and in this case female boxers, are very fascinating. It will be thrilling to watch two undefeated female athletes compete against each other, while the rest of the world of female fighters avoids the undefeated stars. The difference between the greats in boxing and the contenders are those who appear to be fearless and accept all challenges and how they respond to adversity. The greats put in persistent effort to excel while the contenders lose steam and regress by fighting easier competition on regular basis. This will be Barrios’ second undefeated opponent in only her 4th fight, and both have had very advanced amateur backgrounds. Satybaldinova, on the other hand, is coming into unfamiliar territory. That is what the greats do. Two potential greats meeting head to head early in their careers with each having the utmost confidence that they will win by KO. Kerry Daigle of Keeppunching Entertainment: “In my 45 years of working in boxing, this may be one of the most fun matches to be made in professional female boxing. Kazakhstan vs Mexico. You can’t ask for better athletes to compete against each other. Two champions…. both undefeated…. going head to head.